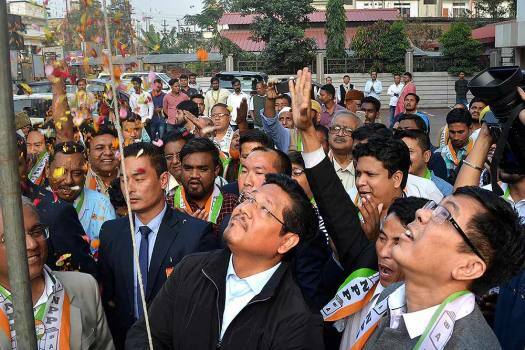 Meghalaya Chief Minister Conrad K Sangma hoists the National People’s Party (NPP) flag during the inauguration of Assam State Unit, at Jatia, in Guwahati. 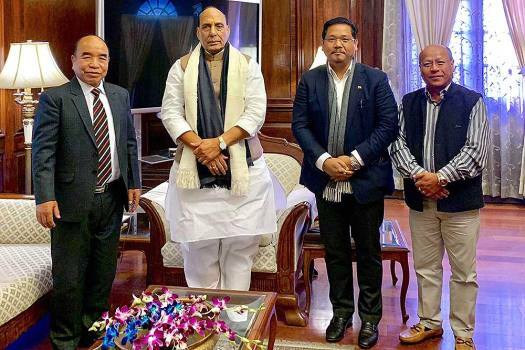 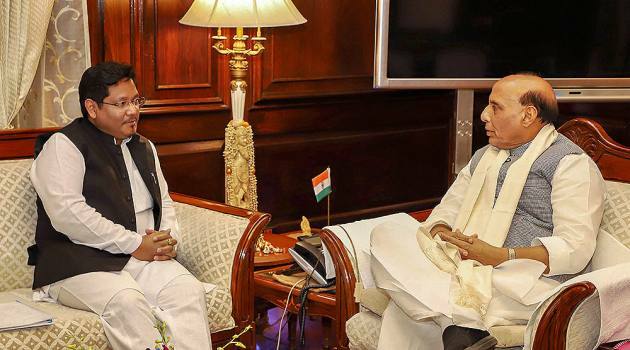 Home Minister Rajnath Singh and Meghalaya Chief Minister Conrad Sangma during a call on, in New Delhi. 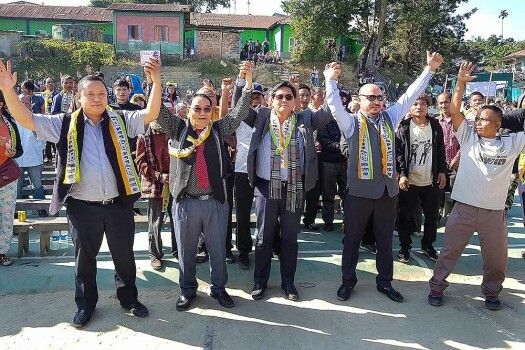 Meghalaya Chief Minister Conrad K Sangma speaks to his supporters after winning south Tura Assembly bypoll, in Tura. 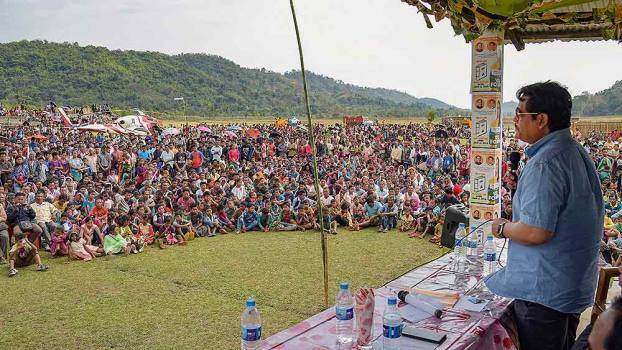 One can enjoy the full cherry blossom view at Shillong, the capital of Meghalaya, which will be in full bloom during November with pink and white cherry blossoms all along the roadside and the famous Ward’s lake. 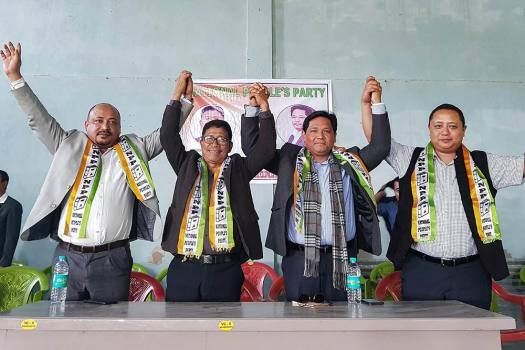 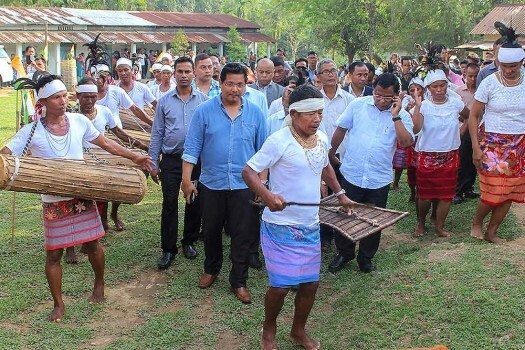 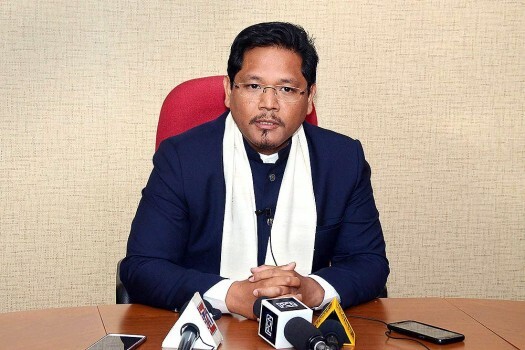 Sangma, who is currently a MP from Tura, is contesting from South-Tura sear in West Garo Hills district on a National People's Party (NPP) ticket. 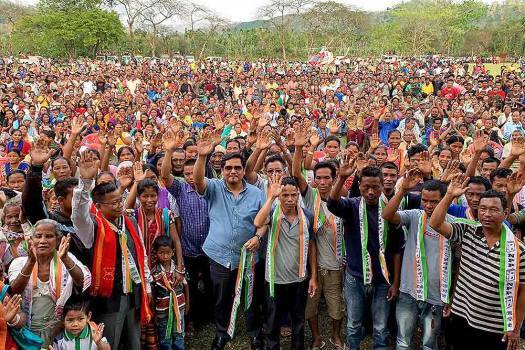 An official said around 10 companies of paramilitary forces have been sent to Meghalaya. 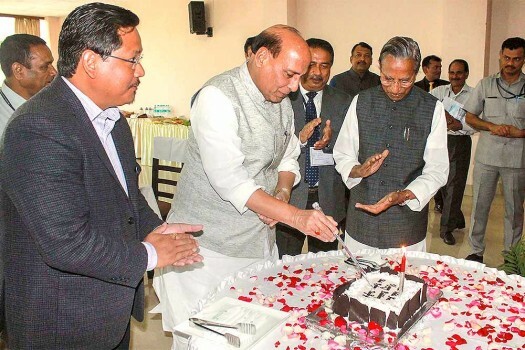 A company of paramilitary force comprises of 100 personnel. 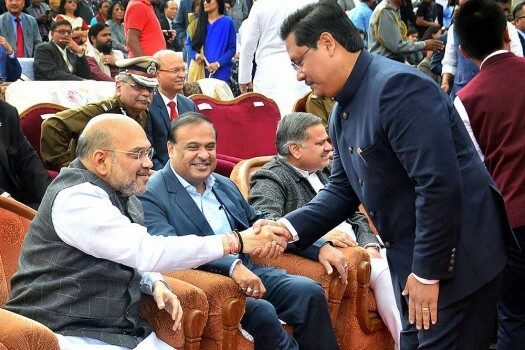 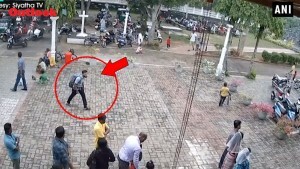 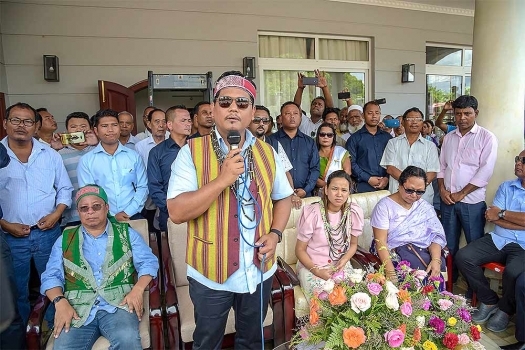 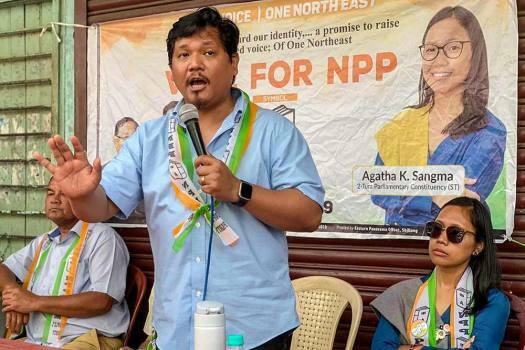 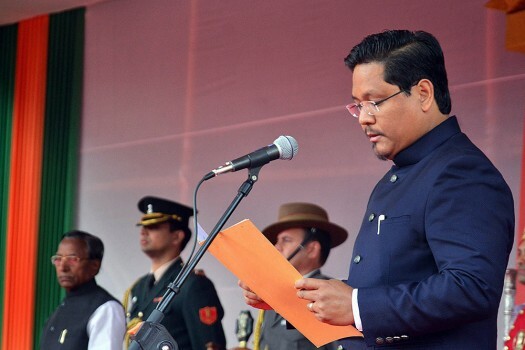 Conrad Sangma, 40, son of former Lok Sabha Speaker PA Sangma, took charge of the NPP after his father's death in March 2016 and projected it as the main contender against the Congress, which had ruled the state for 10 years.